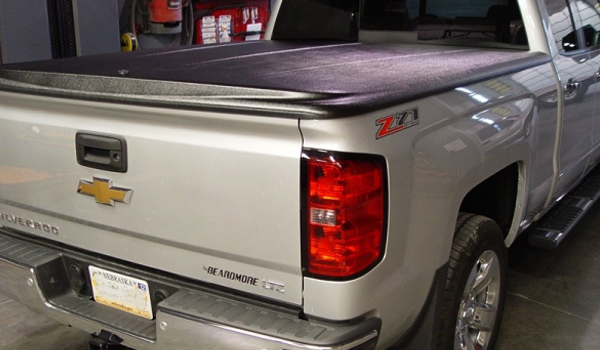 A truck bed cover is one of the easiest ways to ensure that everything in the back of your truck is safe from thieves as well as the effects of extreme weather. Contact us today for more information about bed covers, as well as protective coatings from LINE-X. Bed covers stop people from being able to steal things from your bed. A bed cover can protect your tools from damage caused by rain, hail, snow, and the sun. Bed covers can help improve the aerodynamics of your truck. New bed covers are available in a number of colors and materials. Bed covers from LINE-X of Omaha look great! When you use your truck to haul tools, or anything else, you’ve probably felt uneasy about leaving your vehicle unattended for more than a minute or two. If you want the freedom that car and SUV drivers have, you need a new truck bed cover. A truck bed cover will provide you with peace of mind and a secure place to keep your valuables. Contact us today to learn about the bed covers that we carry. If you want a hard tonneau cover, we can help. If you want a soft cover that rolls up or is easy to detach, we can help. With a number of color options, it is possible to find a cover that matches your paint or provides a great accent color that will turn some heads. At LINE-X of Omaha, we want to be your one-stop shop for a wide range of truck accessories that will turn your truck into a perfectly customized vehicle that can go where you want and do what you want.